When 10,000 Liverpool fans walked out of Anfield in the 77th minute of last Saturday's game, the Reds were leading Sunderland 2-0. By the final whistle, the score was 2-2. No one can say for certain that the clatter of so many seats triggered the result. What we do know is that the mass walkout sent ripples across the Atlantic Ocean. 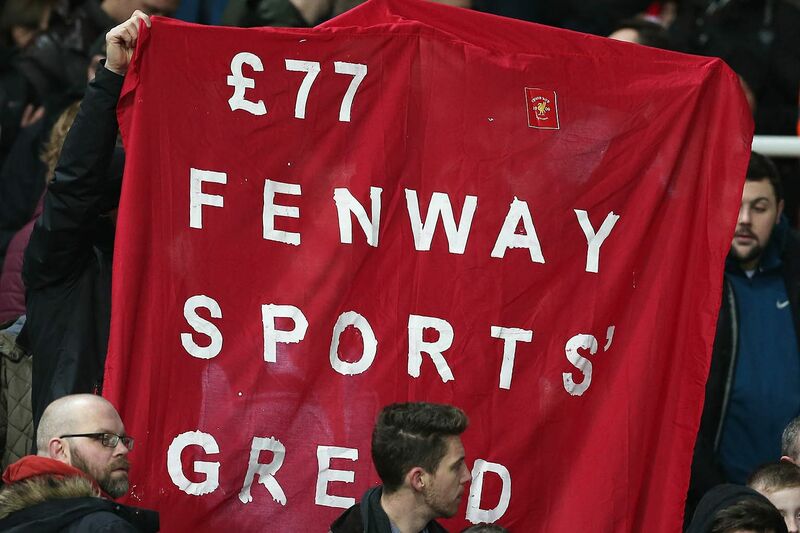 Liverpool's owners, the American investment company Fenway Sports Group (FSG), capitulated to the will of the fans. "On behalf of everyone at Fenway Sports Group," came the statement posted online, "we would like to apologise for the distress caused by our pricing plan for the 2016-17 season. 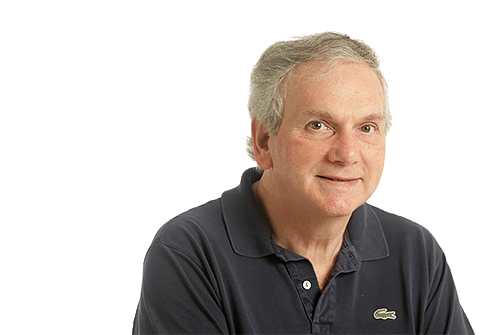 "The three of us (Tom Werner, Mike Gordon and John W. Henry) have been particularly troubled by the perception that we don't care about our supporters, that we are greedy, and that we are attempting to extract personal profits at the club's expense. Quite the opposite is true. "From our first days as owners we have understood that serving as custodians of this incredible institution is a distinct privilege and as such we have been driven by the desire to return LFC to the pinnacle of football." The point of this protest is that Liverpool is historically The Peoples' Club. Bill Shankly built up the loyalty on socialist principles. It was a different time, a time when clubs were dependent upon the fans for the bulk of their income. And so it went on, a 937-word statement that has been called grovelling in the British press. It was contrite, not grovelling. Crucially, the statement acknowledged that the trigger for the walkout (and forfurther walkouts planned by the fans) was the attempt to increase the price of a top match-day ticket to £77 (S$156), and the most expensive season ticket from £869 to over £1,000. These price rises are now abandoned. Ticket prices will be the same next year, and the year after, as this season. Fenway recognised what they should have known, given how the previous US owners were hounded out through a failure to appreciate the power of fan loyalty. that it is the essence of any English club - most especially Liverpool. The walkout in the 77th minute was brilliantly timed to emphasise opposition to the £77 ticket. Given that the London clubs Arsenal, Chelsea, Spurs, even West Ham, can charge way in excess of that, it doesn't sound so much. But Merseyside is not London, and never was in terms of employment and the cost of living. Arsenal can charge more than any team in the Premier League, indeed more than any in the world, because it has a grand spanking Emirates Stadium built for the upper echelon of London's high society. If an Arsenal ticket holder does not want to see a particular game, he can advertise online and spark a bidding war between visiting Americans or Russians who would pay over the odds for the "experience" of watching top-notch EPL football. I know of one corporate lawyer who handed over £400 for one ticket at the Emirates, without batting an eyelid. He probably could lose that sum in his expense account. But Liverpool aren't remotely like that, although I suppose if The Beatles came back into town and wanted to watch a game, they wouldn't blink at any cost (not that they would have to pay a dime as guests of the club). It was actually a time when fans stood, so the phrase "bums on seats" was not even heard of. Today, the top teams do not need the cash through the turnstiles so much. Money from broadcasting, and from sponsorships, dwarfs it. The new TV rights deal about to kick in from July this year will net every one of the 20 EPL clubs at least £100 million. That comes from S$16.46 billion in TV agreements over the next three years - S$10.36 billion from the UK and S$6.1 billion from overseas rights. So in a sense your dollar can help subsidise the English fan. Good deal, or bad? I put it to you that viewing football wherever we happen to be is greatly enhanced by the passion of the spectators. Take 10,000 out of Anfield, and see the emptiness, hear the volume drop. Maybe the exodus lowered Liverpool's intensity, possibly they were sagging anyway, but it is a fact that Anfield generates a special atmosphere, and it is eerie when a quarter of the audience departs. What the fans said, and what other fan groups up and down the Premier League are saying, is that enough is enough. The EPL is a greedy league. Over half of the clubs are now owned from abroad, and marketed to a degree that the English for all their trading history never contemplated. That marketing is reflected each summer when the big clubs come to Asia, or go to the United States to feed their markets. Manchester United v Manchester City is planned, already, for China this coming July. And that's despite the fact that the Chinese Super League is recruiting big-name players for sums and salaries that nobody envisioned 12 months ago. Whether this will see out the Year of the Monkey, we shall see. China's economy is slowing, but football hasn't noticed. Back to the Premier League. One lauded ex-Red, Jamie Carragher, joined the 77th-minute walkout last weekend. He earns millions as an analyst on Sky Sports, the vehicle by which the sport-TV-sponsor revolution is spun. "I know the increase will not impact on me," Carragher said in a column in the Daily Mail. "but I also know plenty about my city - £77 is too much to watch a game anywhere, but that price is particularly over the top in Liverpool." FSG know that - now. Income from broadcasting and product endorsement is literally hundreds of times the gate money. But the dynamic of football, particularly in Liverpool, is destroyed if you price out the common fan.